People often send me requests like “Mark, why did my glass break? The glass broke when nobody was touching it. Now my landlord wants me to pay for it.” Since my psychic powers have never been good, I need good information in order to help. 1. Take pictures of the glass breakage immediately. The longer you wait, the more the evidence will disintegrate or be cleaned away. Take the highest quality pictures you can. If you use your smartphone, email them (don’t text them) to yourself or me because texting often reduces photo resolution. 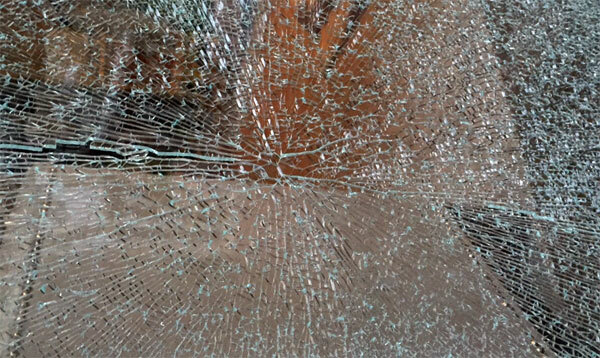 Take the big picture to add context to your documentation of glass breakage. Carol sent this photo. Stand back and take the big picture from both sides of the glass. Include the area that surrounds the broken glass. If window treatments or furniture obscure the view, first take the picture with those objects in place, then move them and shoot again. If you look closely, you will be able to see the focal point of the glass breakage. That is where the story begins. Thanks to Tommy for this image. The medium shot will include the entire piece of glass, fully in one shot. It is OK to turn the camera sideways to get the best fit. We do this to see the focal point of the glass breakage. When glass breaks, the cracks tend to emanate from a focal point. Look closely and try to locate it. Then shoot right at this area encompassing an area of about 3″ x 3″. First, have the camera perpendicular to the glass, then hold the camera to the side and shoot at the focal point at an angle of about 45 degrees. Do this from both sides, from the top and from the bottom. Write down date of glass breakage, time of day, and direction of exposure. If you know it, write down when the glass was installed or its general age and who provided/installed it. 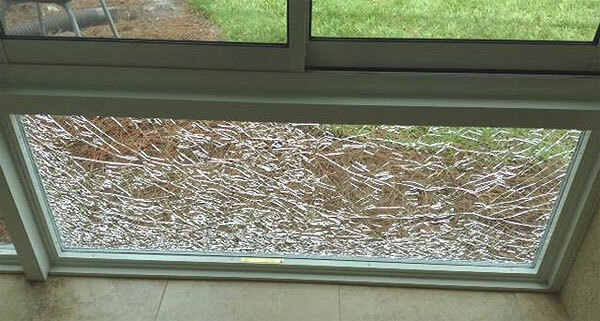 Larger buildings will need to preserve information about glass breakage events over long periods of time, because sometimes glass breakage can become an epidemic. 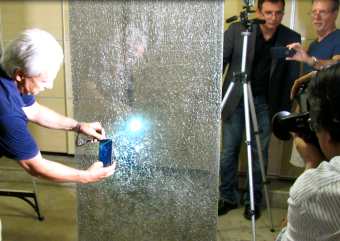 If you want to know why your glass broke, document the glass breakage to the best of your ability and ask a glass expert.